Montana police have released a graphic dashcam video of a Billings police officer sobbing after killing an unarmed man who was high on methamphetamine last April. The jury in a coroner’s inquest found the officer was justified in the shooting. Morrison pulled the car over, then told the four occupants to put their hands up – a command he repeated seven times throughout the incident. He realized quickly that Ramirez, whom he had met at least once previously and who was suspected in a robbery and shooting the previous night, was one of the passengers. "What are you doing? Why are you moving your hands so much?" Morrison says in the video. "Get your hands up. I will shoot you. I will shoot you. Hands up!" The five-year police veteran then fires into the car, hitting Ramirez three times. 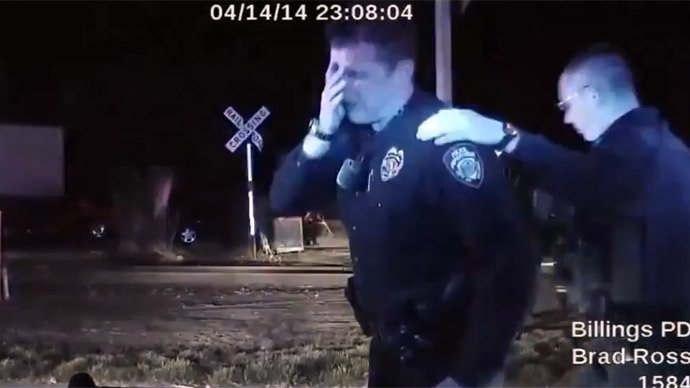 Minutes later, another officer is seen attempting to comfort Morrison as he begins sobbing on the hood of the patrol car with his head in his hands. Two bags containing a small amount of methamphetamine and a syringe were later found near where Ramirez had been sitting, News.com.au reported. The victim did not have any weapons, however. During a two-day coroner’s inquest, Morrison related the events of the night. “I shot him...I thought he was going to kill me,” he told the seven-member jury, the Billings Gazette reported. "I was getting very scared," Morrison said. "He pulled away from me, and he again did the exact same thing. He shoved his hand down to his side and started jiggling it up and down. I told him I was going to shoot him if he didn't listen to me and put his hands up." The officer, who is now assigned as a prescription drug diversion task force officer and is working with the Drug Enforcement Administration, noted that he regretted killing Ramirez. Dr. Tom Bennett, the forensic pathologist who performed the autopsy, told the coroner’s jury that a toxicology test revealed Ramirez had a dose of methamphetamine in his system that could be lethal to some at the time of his death. But Bennett added that the tests also indicated "chronic use" of meth and suggested he'd built up a higher tolerance. After deliberating for a little more than an hour, the panel ruled that the shooting of Ramirez was a noncriminal, justifiable homicide. 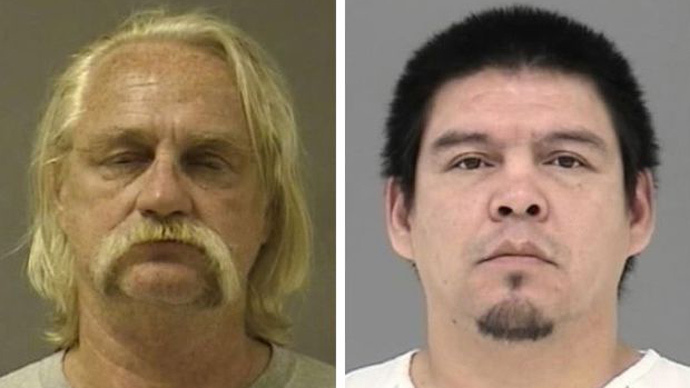 “The verdict of justified homicide reaffirms that our policy procedure and training is properly aligned with state and federal law,” Billings Police Chief Rich St. John said. “I hasten to say that if it were not for the methamphetamine nexus, we would not be here today,” he added. "That ain't right, the way he died," Ramirez’s mother, Betty Ramirez, told the Gazette. "I'm going to fight it, I'm going to take it as far as I can get it. I'm not going to give up." Morrison shot and killed another man in 2013. He was cleared of any wrongdoing in that case.